Our new technology revolutionises the clean up of events, concerts and festivals with our cutting edge Trilo machines making the process fast, efficient and highly effective. Our event clean up service offers event managers speed, efficiency and an amazing finish. Our new Trilo machines make short work of piles of post-event litter through a bespoke wind action and storage system. The Trilo machines handle huge volumes of litter and can quickly return your facility to pristine condition even after the biggest of events. 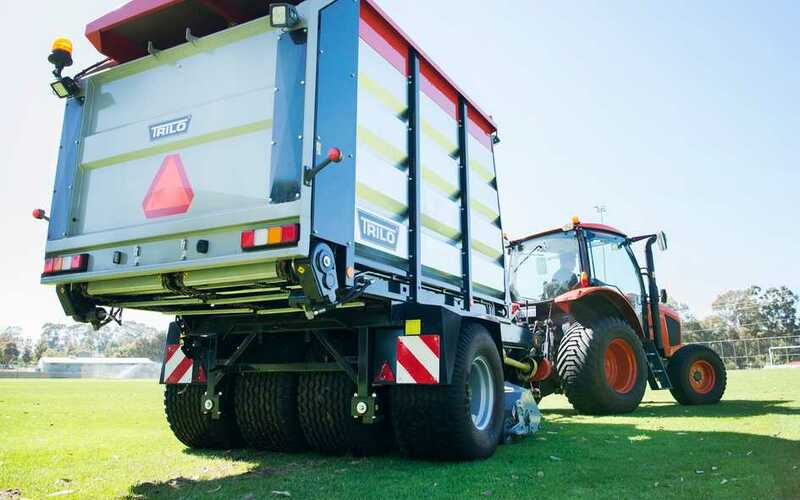 Clearing litter from large areas of grass was once expensive and time consuming, now, our Trilo technology removes the need for multiple staff, equipment and laborious processes. Our team have been putting our Trilo machines to work cleaning litter for large event sites. It is impressive to see these machines pass over grass surfaces covered in litter, and as they pass, the grass is left perfectly clean. These spaces can be made available to the community again quickly, disruption to the scheduling of other events is minimised and the advantages speak for themselves.